How timely for today’s Ways to Use It Challenge (WT353)! 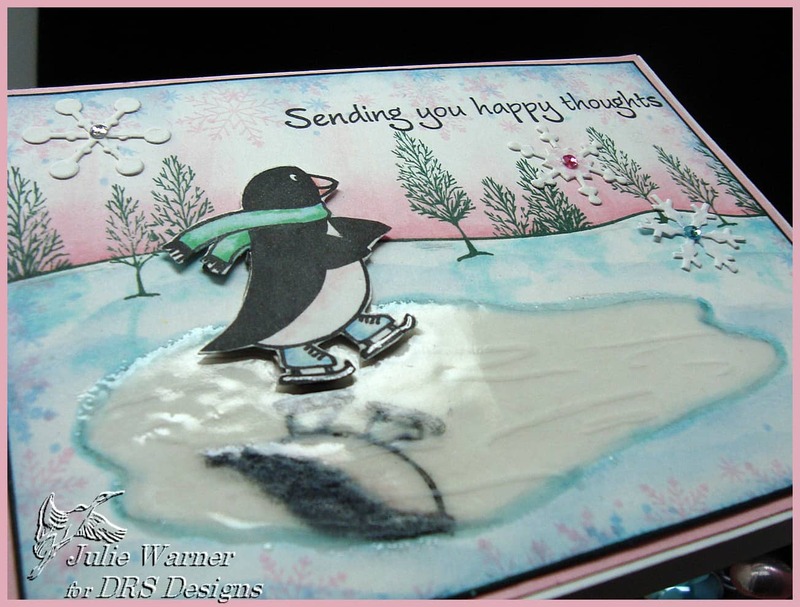 We are to pick a favorite and base our card on it. 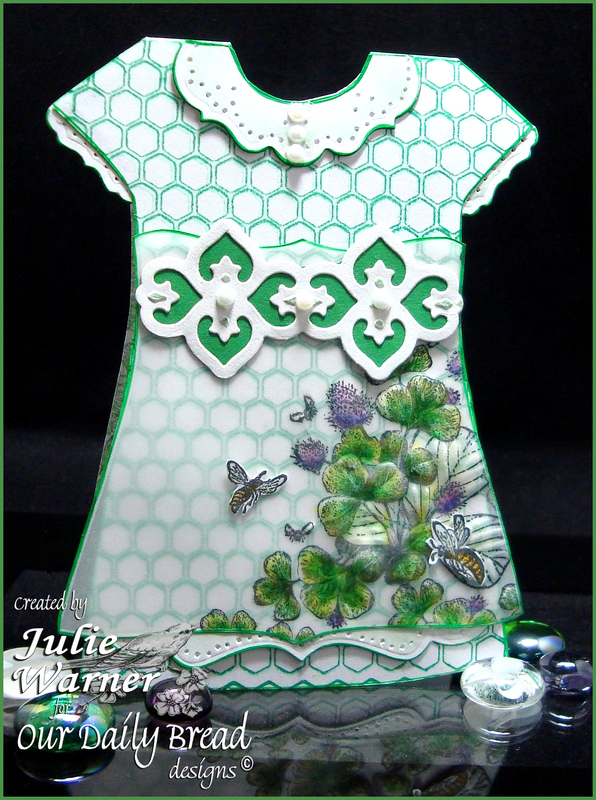 When I was looking thru the FS gallery for Peggy this last Sunday, I came across a couple of her cards Venetian Dress and Easter Dresses. The funny thing is, her Easter Dresses were a case of some Easter Dresses I made! It reminded me how much I liked these little dresses, so this is a case of a case, lol. I had to hunt, but the dress pattern for this is still available here: Dress Pattern. 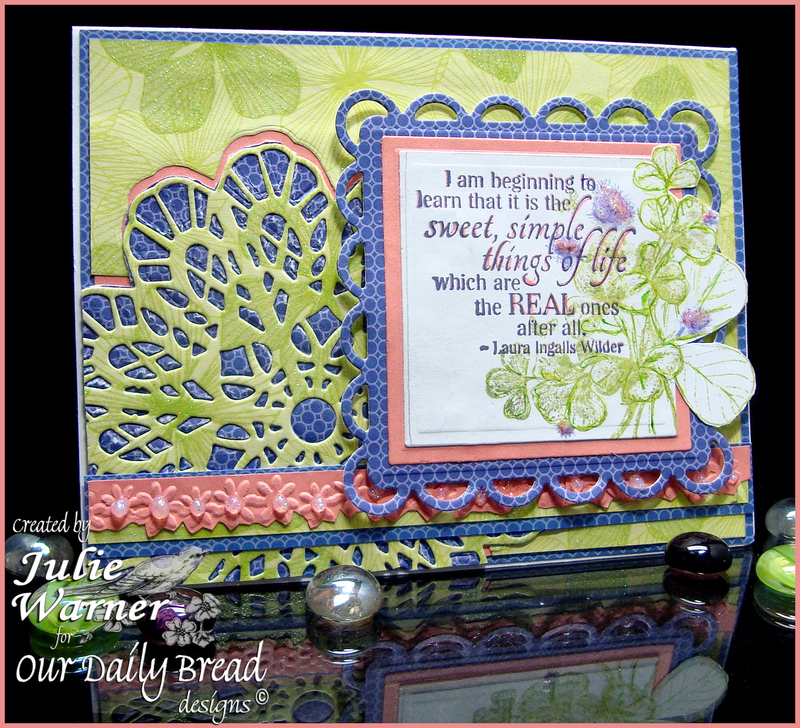 The images I used here are all from Our Daily Bread designs. 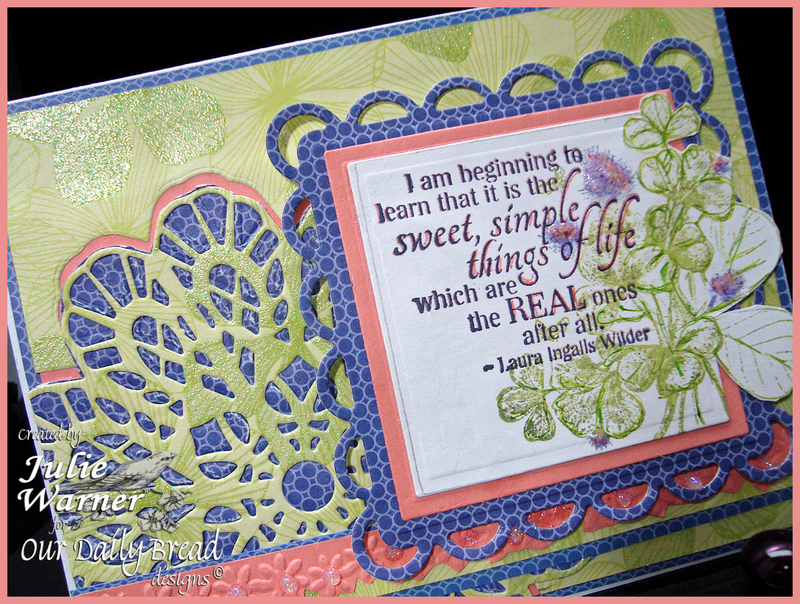 After printing and cutting the card into the dress pattern, I stamped the front w/ the honeycomb bg. 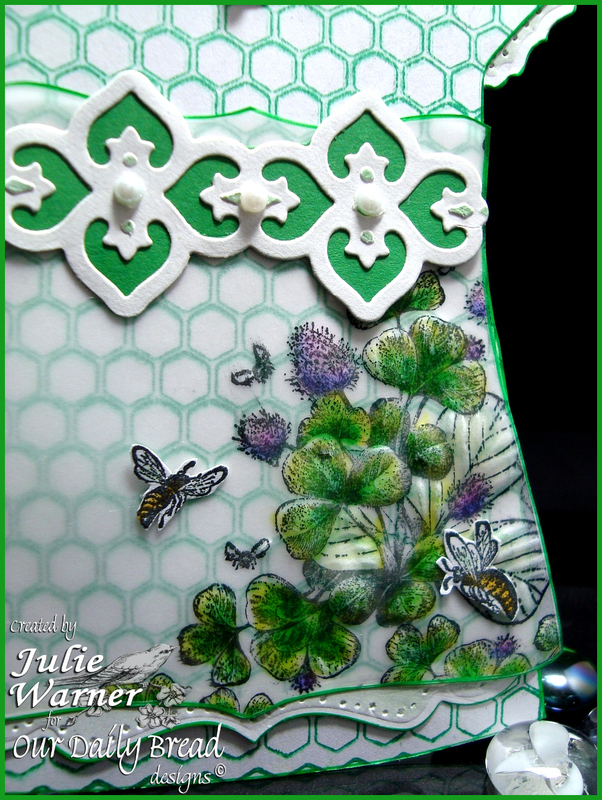 For the apron, I used vellum and stamped the clover in the lower right corner. With a stylus, I debossed the vellum for a little depth then used markers on the backside. The belt was die cut and I added a green band underneath. For the bottom of the apron, the sleeves and the collar, I used little pieces I die cut using the Spellbinders labels. The card fits in an A2 (4.25 x 5.50) envelope.